I knew John and Carole from my Bible College days. 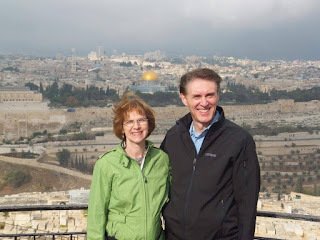 A few years ago, they had an opportunity to go to Israel with an organization. Carole is my guest today. She said three places helped her feel connected to Israel. Here is what she chose to share with us today. 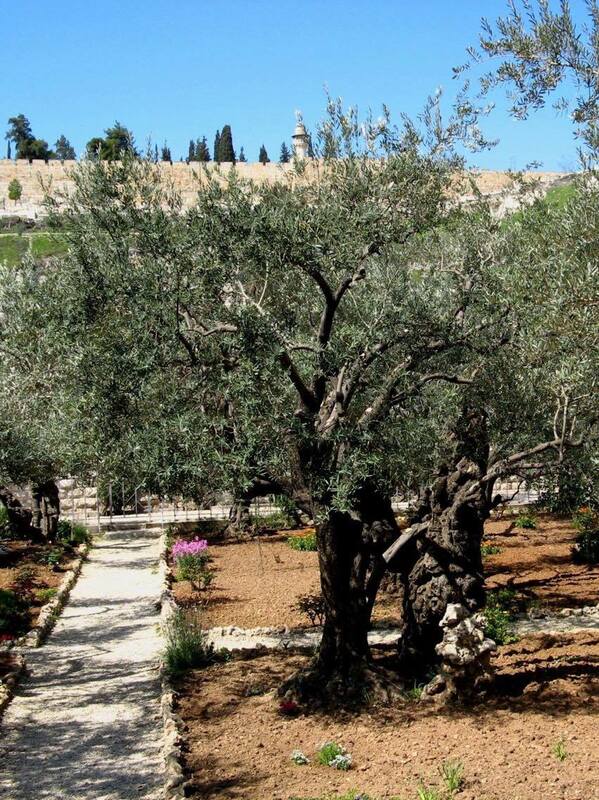 The garden of Gethsemane is at the foot of the Mount of Olives and is not open to the public. It is located in the middle a neighborhood across the alley from the Church of All Nations. You must be with a tour group that has permission from the church to enter. can happen. There are stone benches and folding chairs. Places to listen to Scriptures read that were related to this place. Some gardeners harvest olives in one corner of the gardening while God's Word is read. It was harvest time, and obviously, a “working” garden, who-knew! 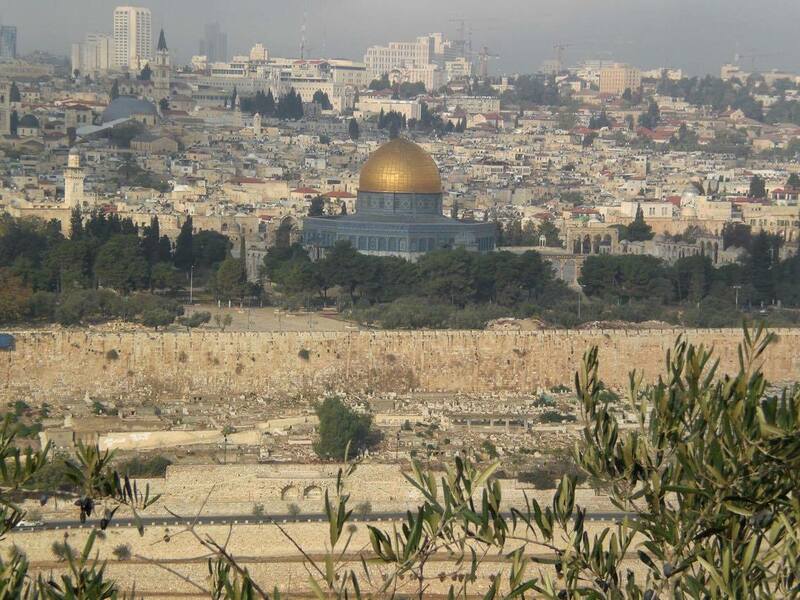 The Mount of Olives is a great vantage point for seeing Old Jerusalem. History comes to life as one looks west across the deep and craggy Kieron Valley. 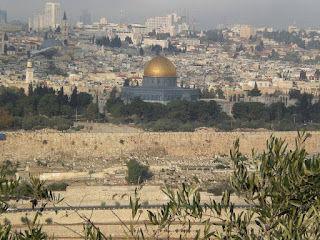 Beyond the wall of the old city is the Dome of the Rock. Farther in, modern buildings for housing grow with the aid of giant cranes. Our guide tells us that faithful Jews throughout history have been buried on the Mount of Olives in anticipation that the Messiah will awaken them when He comes. The Apostles saw Jesus ascend into heaven here, and prophecy says He will return to this place. 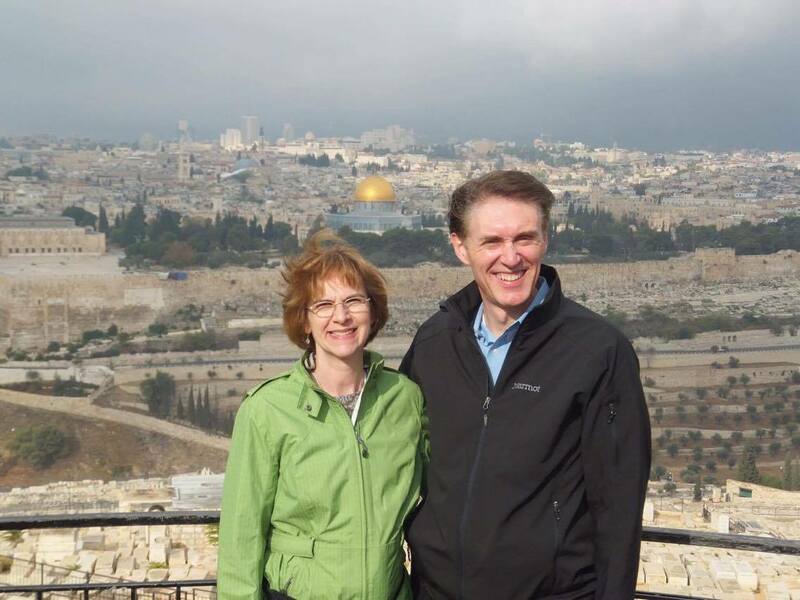 Since this is ground zero for Jesus’ return, it’s thrilling to say I’ve been there. Even so, come quickly Lord Jesus! I’ve visited several Holocaust museums in my travels, but Yad Vashem in Jerusalem can rightly say it’s the World Holocaust Remembrance Center. It’s an amazing and unforgettable tribute to the victims. The Children’s Memorial is especially memorable. The tribute to the “righteous among nations” is an extensive garden of individual plants and trees for each person remembered. May we never forgot or repeat any such horror or desecration of life and hope, and may the righteous never lose sight of their mission to be God’s hands and feet in a broken world. Thank you so much, Carole, for sharing the small piece of your trip with us! Thank you, Mary and thank you, Carole, for sharing your thoughts.